What on earth are Black Majority Churches and are they a homogenous church movement in Britain? These are some of the questions this short book seeks to address. The book argues that Black Majority Churches are certainly part of the British Church landscape and that a history of the Church in Britain would be incomplete without the history and mission of Black Majority Churches. The book also articulates clearly that these churches are diverse in terms of theology, church structure, mission, culture and ethnicity. In this respect, it can be argued that Black Majority Churches (BMC) can also be referred to as Black Multicultural Churches (BMC)! A further question this book explores is, now that we have so many Black Majority Churches in Britain what is their mission theology? What kind of relationship do they have with Historic Churches such as Church of England, Baptist, Methodist and United Reformed Churches (URC)? The sharing and use of church building is one example of how these two groups of churches are working together in mission. Other examples are through local church networks and mission initiatives such as food banks, winter night shelters and Street Pastors. What are the challenges and opportunities in the sharing of church building between a Church of England and a Black Majority Church? This book gives examples of this shedding more light on the history of ecumenism between these two groups of churches and current practices. This is a timely and much needed contribution to the British ecumenical landscape and Israel Olofinjana is ideally located to be the one to make this contribution. As a member of the African Diaspora in the UK, Olofinjana is aware of the challenges faced by ‘migrant churches’, the growth among what is known as Black Majority Churches (BMC’s), and the dynamic ecumenical intercultural trends on the ground – especially in London. Olofinjana’s contribution will certainly mean that any current and future writing of the history of Church or ecumenism in Britain must reckon with the presence of BMC’s! This volume will certainly help kick-start fruitful conversations on unconventional grassroots ecumenical partnerships, the complexity of the history and intra-diversity of BMC’s, and open up opportunities for Churches to move out of the ‘transit lounge’ of a tired kind of ecumenism. There is much here to build on and take in multiple directions! 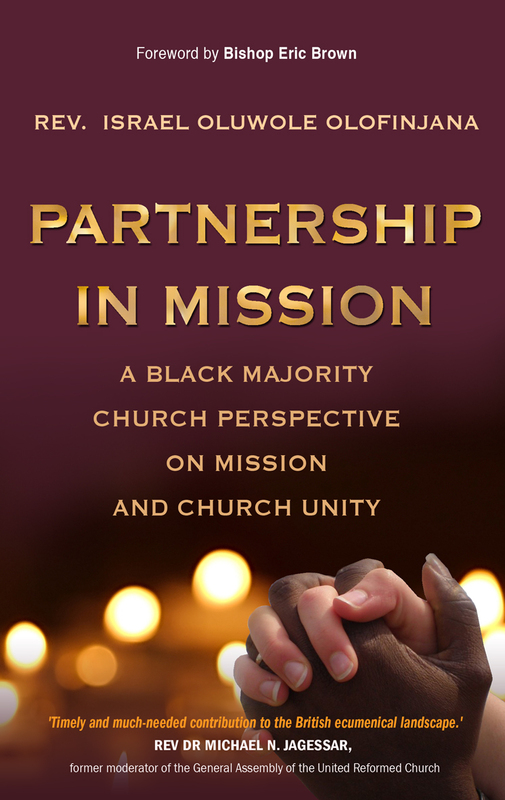 This entry was posted in African Church History and Theology, Black Majority Churches (BMCs), Ecumenism, History and tagged Forth coming book, Intercultural Ecumenism of Black Majority Churches, Mission Theology of Black Majority Churches, New book Partnership in Mission, Partnership in Mission book, Partnership in Mission: A Black Majority Perspective on Mission and Church Unity. Bookmark the permalink.